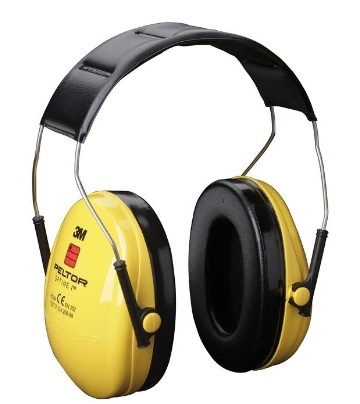 3M Optime 1 earmuffs. Low profile design. Metal wire headband provides the pressure within certain parameters. The wide, comfortable sealing rings are filled with a unique combination of fluid and foam. SNR: 27 dB.